Should I call the RSPCA? However Human Dad had other ideas. 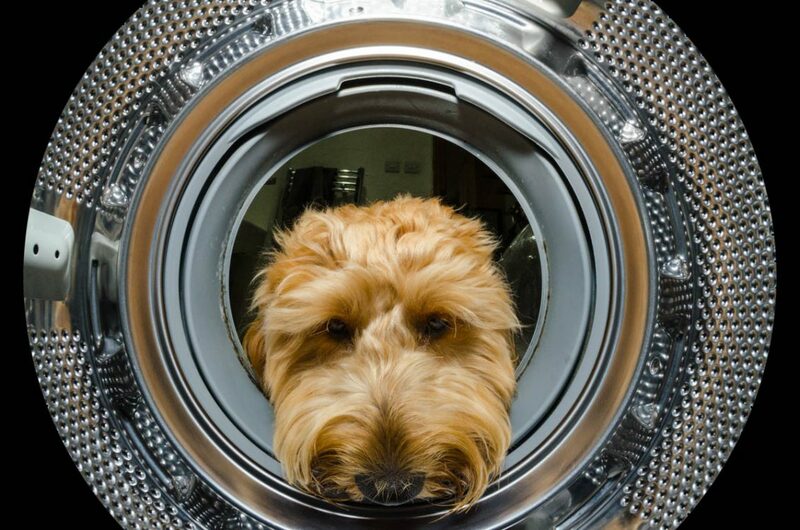 I had to stick my head in the washing machine to retrieve a treat while he shot photos and blinded me with a flash gun! I did get quite a few gravy bones out of it, but I can tell you there is not much of a view in there! Not that I could see anyway after he set that blinding light off in my face! And to cap it all the judges only put me in 6th place. He clearly had the most handsome model in the contest so I can’t understand why he didn’t win. A couple of polar bears were the winners – don’t know how a photographer found them in this heat wave. Here’s a few of the shots from the day – let me know if you think I should have won!